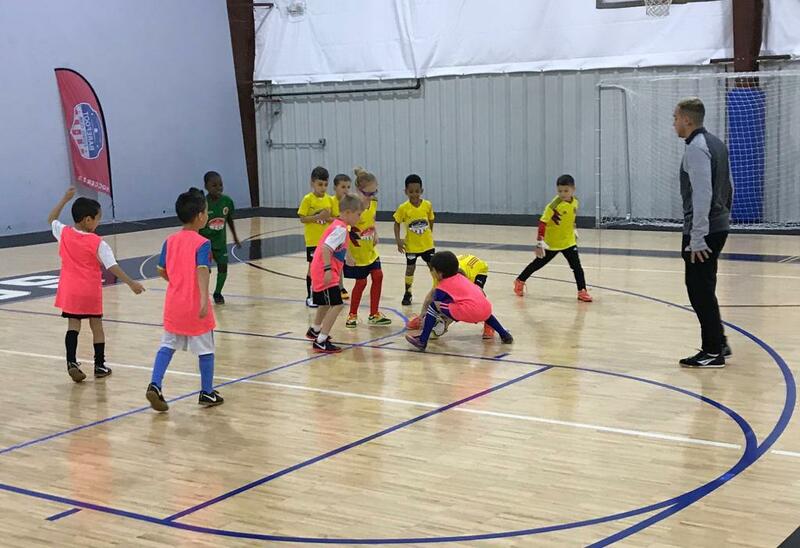 Want to play futsal games and then do some freestyle soccer? Maybe you would rather play basketball and then soccer tennis and foot-volley? Our awesome indoor facility can accommodate several sports, so bring your friends and come play for your birthday! Choose up to 4 sports/games: Futsal, Freestyle, Foot Volley, Soccer tennis, Futsal Baseball, Capture the flag, Basketball, Dodgeball. 1hr of play + 30 min of Party Room. $150 for 1.5 hrs, which includes the first 9 friends, then $15 per friend after 9. Also includes a party play & room coordinator (Tips appreciated if customer feels compelled). We will provide plastic and paper-ware, or you can bring your own to suit your party theme. Optional Pizza delivery at $15 per pie (up to two toppings). Contact us at info@barefootfc.com to ask about our customizable multi-sport birthday party options for your child and their friends. Interested in becoming a sponsor of Barefoot Futbol Club? Want to participate in your local community? Become a sponsor for Barefoot Futbol Club and support youth in your area. Proud Sponsor of Barefoot Futbol Club. Helping contractors keep track of small tools and equipment with modern technology. ©2019 Barefoot Futbol Club / SportsEngine. All Rights Reserved.